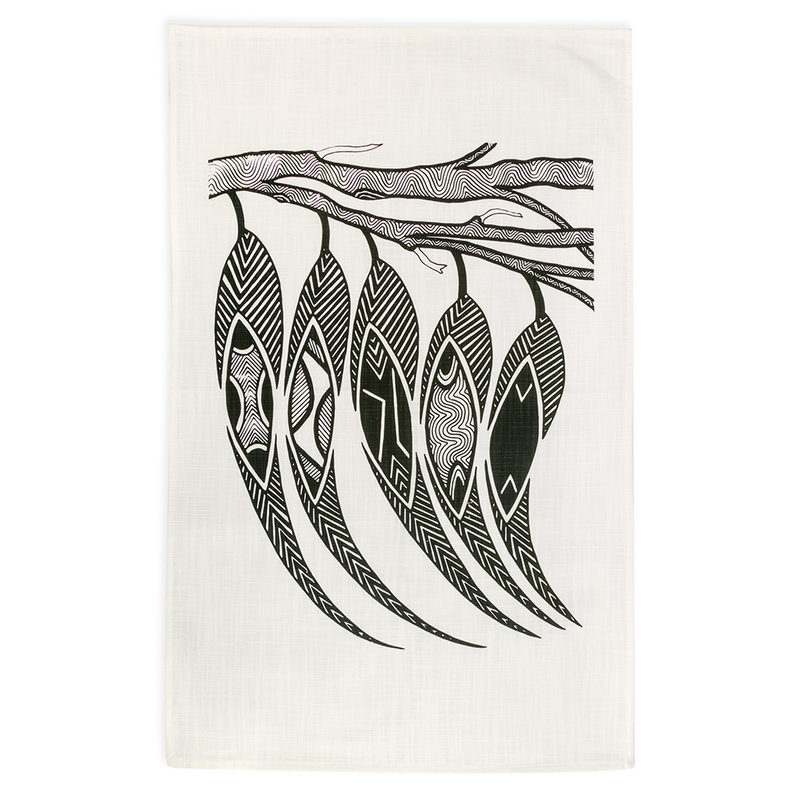 When it comes to souvenirs, there’s nothing scarier than those silver tourist teaspoons with a picture on the end… Put those away quietly and take out something still very Australian and much more beautiful: an Alperstein Tea Towel. Made from 100% cotton, this lovely tea towel is decorated with a beautiful artwork from Mick Harding.The five gumleaves represent the five language groups that make up the Kulin Nation: Boonwurrung, Woiwurrung, Taungwurrung, Wadawurrung, and Djadjawurrung. Based on an artwork by Mick Harding.